What’s Wrong with Education? Is It the Teachers? What has gone wrong with education? Why are students shooting one another and their teachers or professors? Why do so many businesses complain that an education means they have to re-train the prospective employee? Some people would say the blame lies with the teachers, so let’s begin there. Remember the teacher who took a bullet to protect his students? Or the ones who used their bodies to shield against a tornado? They weren’t the only teachers to give their lives for their students. Others do it daily as they work themselves to early graves. Yet society scorns teachers. “Those who can’t do, teach,” say the masses. Any teacher who tries to walk out of the classroom–including a university classroom–into an executive position ends up painting houses for the summer. Teachers receive little respect. Why? The documentary film WAITING FOR SUPERMAN highlighted a national educational disgrace of failure caused, at least in part, by tenure. Tenure originated as a way for teachers who had been working on single year contracts to be rewarded with job security. After so many years, a successful teacher could no longer be arbitrarily terminated. It was a great idea for the teachers who took their charge seriously. It was a terrible idea for teachers who decided to quit-in-place. They stopped teaching, started babysitting for their classes, and waited for retirement. Everyone has paid for their sloth: students, schools, communities, other teachers, and the country. Tenure was too easy to earn and too difficult to revoke: huge design flaw. Several bad teachers made the profession look unethical, uncaring, and stupid. 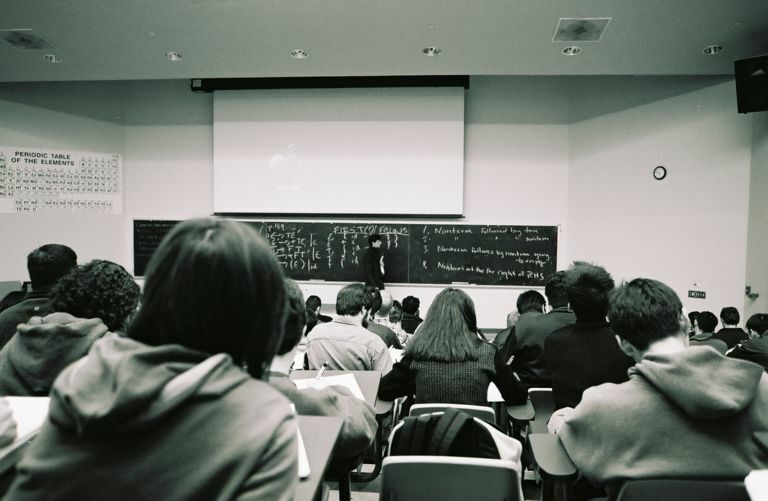 Many research studies, including very recent ones, tell us that the single most important ingredient in whether a student in grade school, high school, or university succeeds in creating a satisfying life after education is the relationship, a bond, between the student and an inspiring teacher, instructor, or university professor. The relationship is the magic. Knowing that, all we have to do is to make certain everyone is exposed to a series of inspiring teachers–to make sure we match personalities. Sounds easy: start with great teachers. The base problem is we don’t know how to identify the teachers who are great. Sounds like a no-brainer, doesn’t it? Even Bill Gates’ money couldn’t do it. Why? Because teaching only begins with knowledge. There is no template that fits every good teacher and eliminates every bad teacher. It’s like trying to define what makes a beautiful photograph. Do we ask the students? Many would say students like only those teachers who are easy. Do we ask the administrators? Many would say administrators like only those teachers who follow their dictates without question. Do we ask their peers? Many would say some co-workers would and do downgrade anyone they suspect of doing a superior job or at least a job that differs from their own. We could make a checklist of skills anyone who instructs should have to be effective. The list would be long, but it wouldn’t leave room for individual differences. Should all teachers be alike? Wouldn’t that take away from special talents, interests, and skills that are unique to individuals? Wouldn’t we discourage the most intelligent and creative candidates from becoming teachers? Many believe teachers can be judged by the achievements of their students–as identified by…hmm…standardized tests? Yet standardized tests are clumsy and often punish people with alternative thinking pathways, creative thinkers, and sometimes also those who think most critically. (Did you ever have a teacher tell you that you were “over-thinking” the question–as though that should be an error?) Current high school equivalency tests use computers to assess writing prowess. (Do you let your computer proofread and change your work without your input?) How would a computer assess Ernest Hemingway or Maya Angelou? This entry was posted on June 14, 2014 by Personal Journeys with Gramma in Dear Gramma and tagged Academic Skills, Achievement, Dear Gramma, Education, Ensuring Student Success, Evaluations, featured, Greatness, Inspiration, Knowledge, Outdated Methodology, Relationships in Education, Student Success, Student-Teacher Relationships, Tenure, Waiting for Superman.